Tooth clenching and grinding can afflict children and adults of any age. 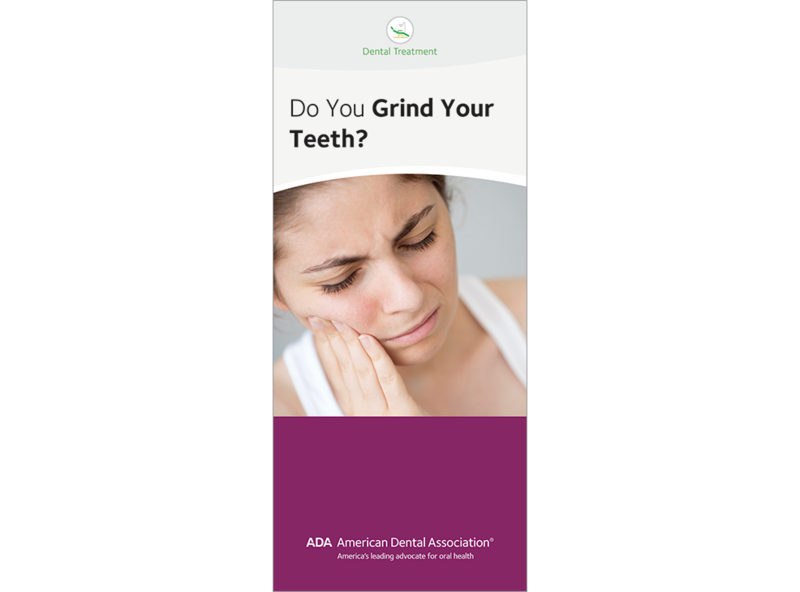 This brochure gives patients a list of symptoms and causes of bruxism – including stress – while outlining various treatment approaches. Alerts patients that it might take a few tries to find the right treatment. Includes photos of bruxism and a night guard. 4 panels, pack of 50. PERSONALIZED Do You Grind Your Teeth?